Here are the names and brief biographies of the five, prominent songwriters who serve on our Advisory Board. They will be actively involved in making SongwriterUniverse the best site possible. 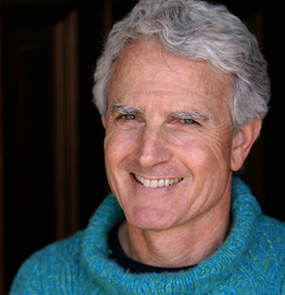 Billy Steinberg has been among the most successful songwriters of the past two decades, co-writing (with Tom Kelly) five #1 hit singles, including “Like A Virgin” (Madonna), “True Colors (Cyndi Lauper; also a hit single for Phil Collins), “Eternal Flame” (the Bangles), “So Emotional” (Whitney Houston) and “Alone” (Heart). “Like A Virgin” was named by Rolling Stone & MTV as the #4 greatest song on their list of the “100 Greatest Pop Songs.” Top 10 hits written by Steinberg include “I’ll Stand By You” (the Pretenders), “I Touch Myself” (the Divinyls), “How Do I Make You” (Linda Ronstadt), “I Drove All Night” (Cyndi Lauper; also a hit single for Celine Dion), and “In Your Room” (the Bangles). Notably, Billy Steinberg & Tom Kelly were inducted into the Songwriters Hall of Fame in 2011. More recently, Steinberg co-wrote (with writing/producing partner, Josh Alexander) the hits “Give Your Heart A Break” for Demi Lovato and “Too Little Too Late” for JoJo. Steinberg has also collaborated with hit writer/producer, Rick Nowels. Steinberg & Nowels were each presented with a Grammy Award for producing their song “Falling Into You” for Celine Dion, which was the title cut of her Grammy-winning album. 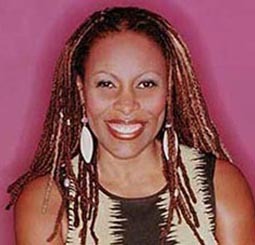 Brenda Russell has been a highly respected, multi-faceted artist, songwriter and keyboardist for more than two decades. She has been nominated several times for Grammy Awards, both as a songwriter and as a vocalist. Russell has recorded eight albums (four for A&M Records), plus a greatest hits collection. Her excellent new album, Between the Sun and the Moon, was recently released on the Narada Jazz label. In addition, Russell has co-written the music and lyrics for the Broadway stage version of The Color Purple. Russell is perhaps best known for her landmark hit, “Piano In The Dark,” which was nominated for “Song Of The Year” at the 1989 Grammy Awards. She also wrote “Get Here,” which became a Top 10 hit for Oleta Adams. Russell has also enjoyed hits with Luther Vandross (“If Only For One Night”) and Donna Summer (“Dinner With Gershwin”). A Russell/Ivan Lins composition, “She Walks This Earth (Sobra Rosa),” was recorded by Sting, and he recently won a Grammy Award for his vocal performance on this song. Other artists who have recorded songs by Russell include: Earth Wind & Fire, Roberta Flack, Patti LaBelle, Joe Cocker, Ray Charles, Barbara Mandrell, Sandi Patti & Kathy Troccoli, John Tesh, Chaka Khan, Dionne Warwick, Rita Coolidge and Miki Howard. Notably, Russell’s song “A Little Bit Of Love” has been sampled for two big hits: “The Way” by Ariana Grande (in 2013) and “Still Not A Player” by rapper Big Pun (2009). But Silbar is best known for co-writing (with Larry Henley) the Grammy-winning standard, “Wind Beneath My Wings.” This song has been recorded by about 200 artists, and is one of the most performed and covered songs of the past two decades. Bette Midler’s classic recording of the song (from the “Beaches” soundtrack) became a #1 Pop hit in 1989, and Silbar & Henley subsequently won the Grammy Award for “Song Of The Year.” Gary Morris and Gladys Knight & The Pips have also had hits with this song. The songwriting team of Jud Friedman & Allan Rich have enjoyed tremendous success during the past decade, writing hit singles and being honored for their songs in motion pictures. They have been nominated twice by the Academy Awards for “Best Original Song”; first for the Whitney Houston hit “Run To You” (from “The Bodyguard”), and second for the Kenny Loggins hit “For The First Time” (from “One Fine Day”). They also wrote the #1 hit for James Ingram, “I Don’t Have The Heart.” The duo have had additional cuts with many top artists, including Barbra Streisand, Tina Turner, Rod Stewart, Bebe & Cece Winans, Chaka Khan, Oleta Adams, Ray Charles, Chante Moore and Dave Koz. Most recently, Friedman & Rich wrote the #1 dance hit, “Stronger”, for Kristine W.
In addition to his work with Friedman, Allan Rich has written hits for N’Sync (“I Drive Myself Crazy”) and Natalie Cole (“I Live For Your Love”). Other artists who have recorded Rich songs include Luther Vandross, Patti LaBelle, Barry Manilow, Diana Ross, Dolly Parton, Smokey Robinson, Gladys Knight, Peabo Bryson, Jellybean, Johnny Mathis, Crystal Gayle & Eddie Rabbitt, Lee Greenwood, and Coco Lee (from the “Runaway Bride” soundtrack). 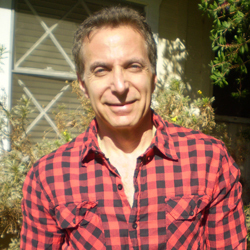 Jud Friedman is a successful producer, arranger and musician in addition to his career as a songwriter. He has produced or co-produced such artists as Ray Charles, Chante Moore, Kristine W., Lauren Christy, Melissa Manchester and Joey Lawrence. He has been an arranger, keyboardist and programmer for Whitney Houston, James Ingram and Bebe & Cece Winans, among others. 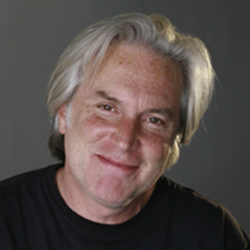 In addition to his work with Allan Rich, Friedman has also written songs for Gladys Knight and young vocal group, 5ive. Artist Search for Special Project: Jud Friedman is a songwriter/producer with a number of hits and Oscar, Golden Globe and Grammy nominations for songs such as “Run To You” performed by Whitney Houston in “The Bodyguard” film and others by artists ranging from Ray Charles to Barbra Streisand, Toni Braxton, Rod Stewart, Tina Turner, James Ingram, Charice and Chaka Khan. He is looking for a young (no older than 23), attractive male or female artist of any ethnicity with a great voice who is interested in doing a “classic songs new and old” type recording project. If you are a star 🙂 and you are interested, please email him at [email protected].